Feat. Remi, Alárìíyá, Sophiegrophy, P-Unique, Sonik Waves, Band of Brothaz + many more! Afro Hub and Immigration Museum are proud to present this diverse, welcoming, and unique event as a part of Melbourne Music Week 2018. Eight plus hours of dope music that pays respect to the African sonic lineage that informs Melbourne’s music community. This event is for everybody. Afro Hub have curated a line-up that weaves together the amazing sounds of Gwara Gwara, Afro Beats, Sega Saggae, Jazz, African Traditional, Trap, Rap, Hip Hop, Soul, and thrown some powerful local spoken word performers into the mix. Catch artists that draw inspiration and own heritage from South Sudan, Zimbabwe, Nigeria, Mauritius, South Africa, Congo, Somalia, Ethiopia and many more. Prepare for collaboration, representation and inter-generational connections. Come share in the magic. So, who is providing the tunes? Australian Music Prize winner REMI and his live ensemble will animate the Immigration Museum courtyard with his spot-on live show. The Melbourne rapper, singer and producer is an undeniable favourite in his home town, and has been riding high since the release of his infectious, smooth-groovin’ single ‘My People’ feat. Thando earlier this year. Get prepped for big beats, fluid rhymes and soulful vocals. Alárìíyá will pump out high-energy party vibes with a sweet blend of Afro-jazz funk rhythms. Founded by Nigerian trumpeter and composer Olugbade Okunade, of the internationally acclaimed Afrobeat Orchestra, Alárìíyá are piping hot, and will elevate you towards bliss. Melbourne-based Nigerian hip hop artist Sophiegrophy, who is well on the up with her super-charged live performances. Grophy will be joined by Sudanese-Australian rapper P-Unique, whose vibrant, raw and genuine style shaped by experience and dedication has seen her turn a lot of heads. M.A.TE – a pan-African music project that brings together a range of traditional instruments and professional musicians from across Africa to create new concepts based on the principals of Ujamaa. Between them they boast over eighty years of musical experience. Ethiopian-Australian R&B and soul singer Soli Tesama willl be takin’ you back to the sounds of the 90’s. While DJ’s Chris Ng and MzRizk, alongside charismatic MC Laila Thaker, will ensure the vibe stays high all day long. Who else provides the words? Band of Brothaz, a collective of beat makers, music lovers and poets, including established spoken-word artists Wani, Tena, and Zii. Poetry accompanied by jazz funk tunes. 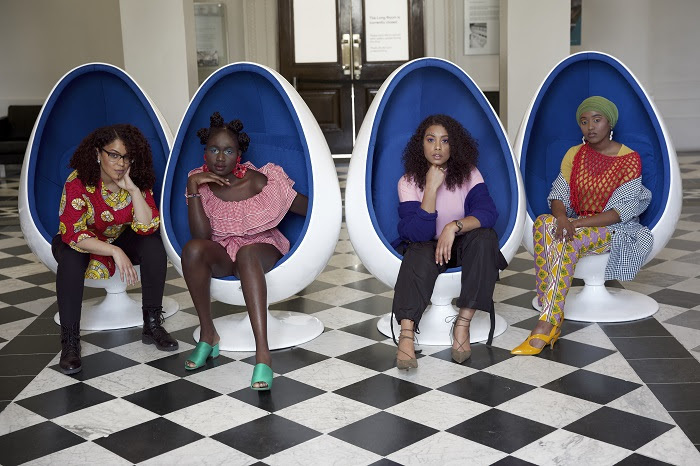 Blue Black Beatz will also host a first-time collaboration called Women and Words – featuring four well-known female Melbourne poets; Jay Larkins, Idil Ali, Consciously Kyah, and Abuk. There will be food trucks and bars, plus eye-opening visuals, to keep your stomach and your soul filled to the brim. Dress loud and proud! Be the most. Do the most. Be you! REMI, Alárìíyá, Sophiegrophy, P-Unique, Sonik Waves, Melbourne African Traditional Ensemble, Soli Tesema, Band of Brothaz, DJ Chris Ng, MzRizk, Women and Words + many more!